President Muhammadu Buhari has warned politicians to conduct their electioneering with decorum and avoid setting the county ablaze, PoliticsNGR has learned. 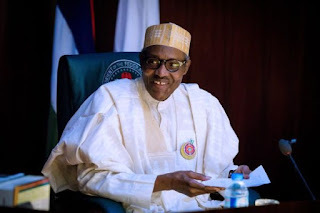 “We have no other country, let us not set it ablaze because of politics,” he told supporters of the governing All Progressives Congress (APC), top party officials and government functionaries, when he kicked off his campaign for re-election in 2019, with the launch of a “Campaign Manual/Next Level document” at the State House Conference Centre, Abuja, yesterday. Buhari said his biggest ambition is to overhaul the education sector. He described corruption as an existential threat to Nigeria. “Despite the gains we have made in closing the gates, we know that there is still much ground to cover to stop the systemic corruption. We are committed to deepening the work we started this first term such that the nation’s assets and resources continue to be organised and utilised to do good for the common man. “The next four years will be quite significant for our country. Nigeria is faced with a choice to keep building a new Nigeria – making a break from its tainted past, which favoured an opportunistic few. Buhari also stated that his administration has delivered on its three campaign promises of fighting corruption, insecurity and revamping the economy.